Well the 'Beast from the East' has been banished but Winter beers are clearly the way forward in such extreme circumstances. 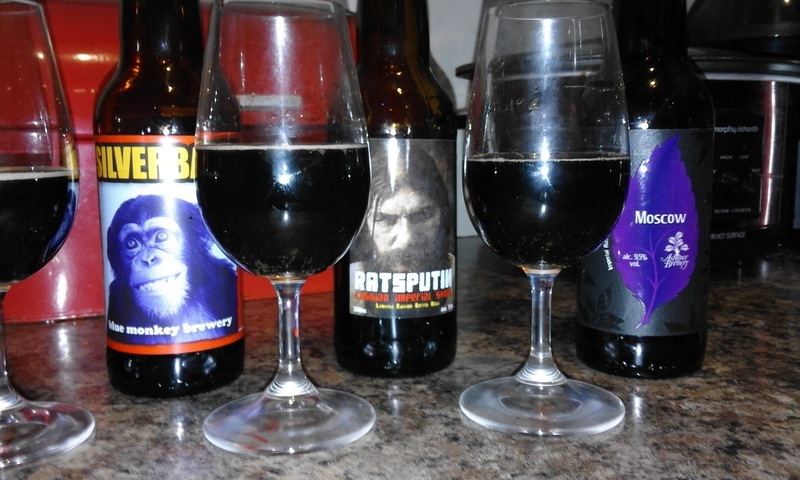 Imperial stouts should have the booze and the brawny body to fend off any inclement weather. Currently, this style is super popular and competition is therefore fierce but I grabbed three of them for less than a tenner to see how they measured up. Mitchell's now has a stellar craft ale selection at a wide range of styles and costs but we went budget. First up was the cheapest of the trio from Blue Monkey. Silverback will set you back just £2.15 from Meadowhead's finest and it's an impressive 10.5% ABV. Initial molasses gloop but then a pleasant roasty, toasty taste and a lengthy boozy warmth in the aftertaste. A tad of bitterness and carbonation to make this a drinkable winter warmer. Not complex by any stretch but friendly enough to invite the monkey back. 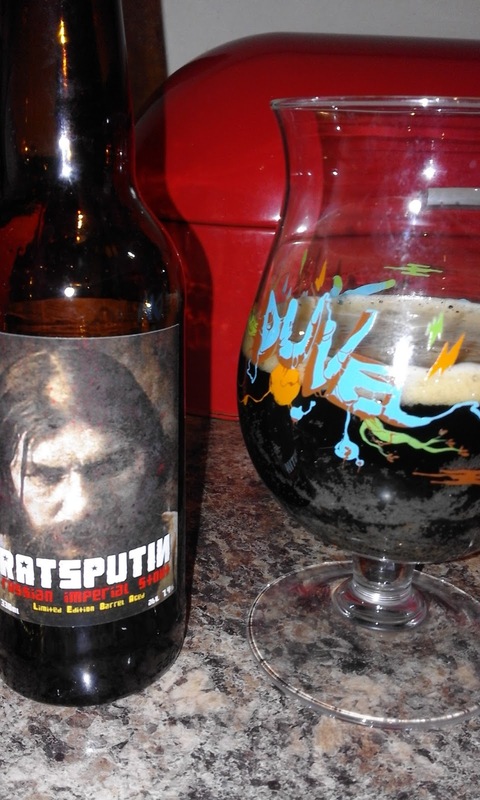 Ratsputin from Rat Brewery of Huddersfield is the lowest in alcohol at a mere 8.5% but cost the most at £3.49. This one would surely win the award for the best-named beer and also for the menacing art work. This was clearly different to the other two in that had quite an over-ripe, fruity taste, a likely result of the barrel-aging, not unpleasant just different and, not surprisingly, less booze in the after-taste. Peaty whisky hints too. The colour was quite distinctive, dirty treacle maybe. Funny one but fine. Finally, Moscow by Ashover is 9.5% and will set you back a convenient £2.50. Since setting up, Ashover have steadily improved and now have a reputation locally for producing very good beer and pocket-friendly prices. Coffee hint, toffee and molasses. Liquorice but smooth and warming, yes. 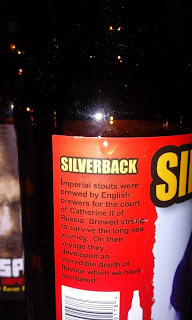 (There is also a raspberry stout from Ashover with a hefty ABV that's worth a go). No losers here; all are winners. Sure, having paid top dollar for the dark stuff from Brewdog, Buxton, Omnipollo and Founders recently, this trio are not in the same quality league,admittedly, but they are VALUE. Three reliable breweries have served up some tasty, strong stouts here that deliver the goods and serve well whether as a beery nightcap or as a coat of Dutch courage to brave the elements. Cheers!